The light was poor, and all the muck after the rains wasn't helping either. I then came across this spider. Since the sun was behind the subject i thought of using a flash for fill-in, but at the last moment changed my mind and decided to get a little creative. Hope you liked the image. Hi,This is my first time here and Great site.Visually very much appealing. 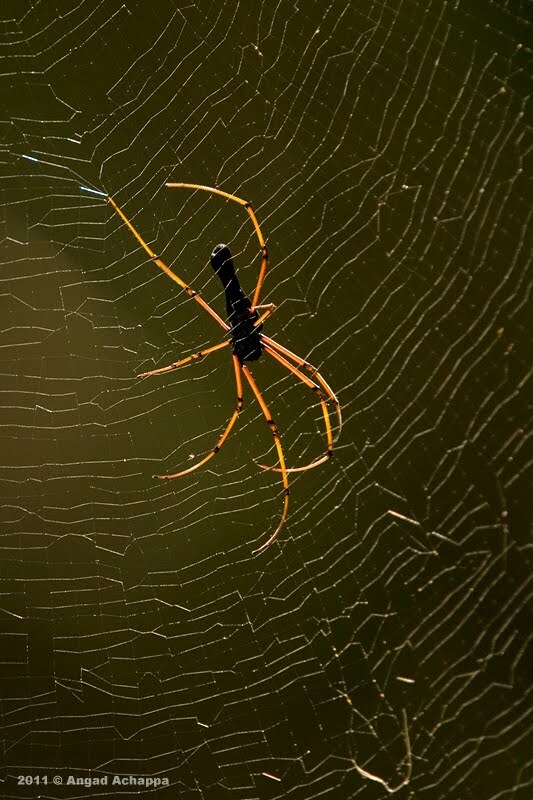 I can't stop looking at the legs of the spider, great shot!!! I do not like spiders, but I very much like this spider image...clarity is amazing along with perfect lighting! I usually try to walk around the spider to see what shows the web best. I see you have managed to capture the web and the spider and the details are great. Along came a spider. And then along came a camera. Great photo! Very nice imagr Angad, the lighting is great. 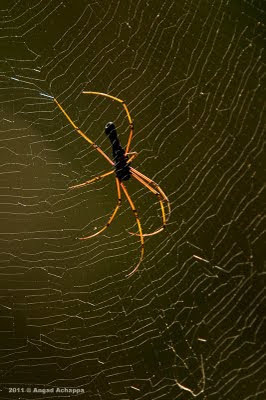 This spider is so beautiful, no?